The start of a new season is a great chance for organization. You must take that opportunity to head into the fall with a nice garage that is a snap to use and keep clean. It is easier than you think. This year, you can get the best garage you have ever had, with just a few additions. ORG wall is a system of panels with slats that you can use to slide in shelves, hooks and hangers. You can dedicate a space of wall for the things you need to hang, and then use another wall for shelving and cabinets to store your larger items or keep your workspace organized. Add a pegboard to provide a spot for your trowels, planters and other hand tools. 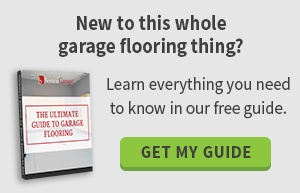 If you look at your garage floor and cannot even see it, while the ceiling is bare, you know that you could switch the two and make your life a lot simpler. Overhead storage is available to get your things up off the floor, but still easy to reach. Garages tend to attract lightweight but large items like coolers, various sports equipment such as surfboards, and all the decorations you can imagine. These possessions can be put in bins as needed and placed in easily-accessible storage that hangs above your head. Too many people make the mistake of creating beautiful organization for the garage walls and ceiling, but forgetting about the floor. Your garage floor takes a lot of hard wear, from dust coming off the workshop to oils from your car and ice during the winter. Installing epoxy floor coating is one of the best things you can do to protect that floor. Epoxy coating resists moisture, which protects the surface underneath. It makes washing and wiping spills or road salts on the floor. The epoxy is also durable, helping you to prevent your garage floor from incurring more wear and tear. Custom garage organization is right on the horizon this season with three simple ways you can organize your life and enjoy your garage that much more. 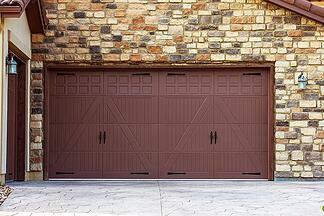 When you are ready to turn your garage into a pleasant haven, contact us for a free estimate.